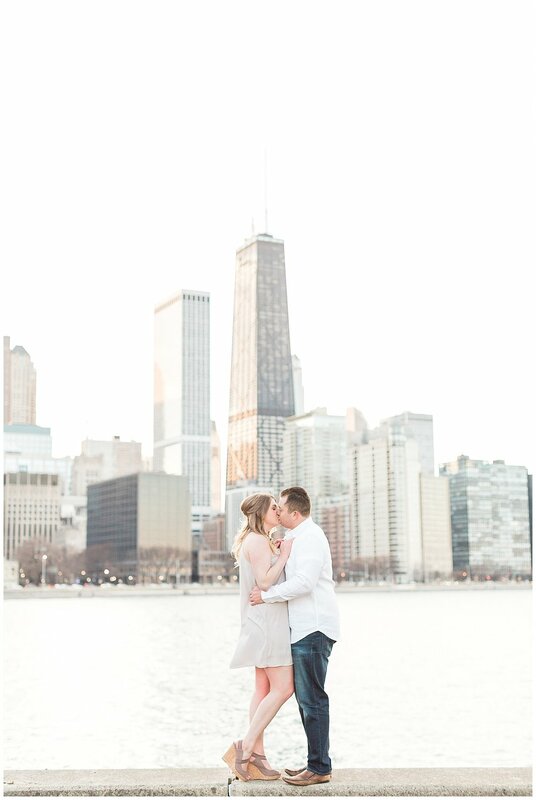 I think we can all agree - Chicago is a pretty dreamy backdrop for pictures with your boo, right?! 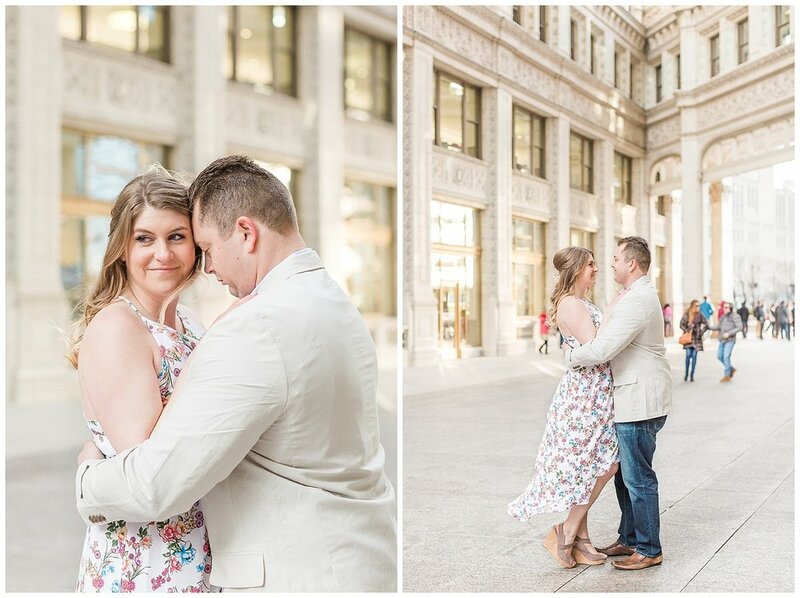 As a wedding photographer, I love when my couples choose downtown locations for their engagement session. 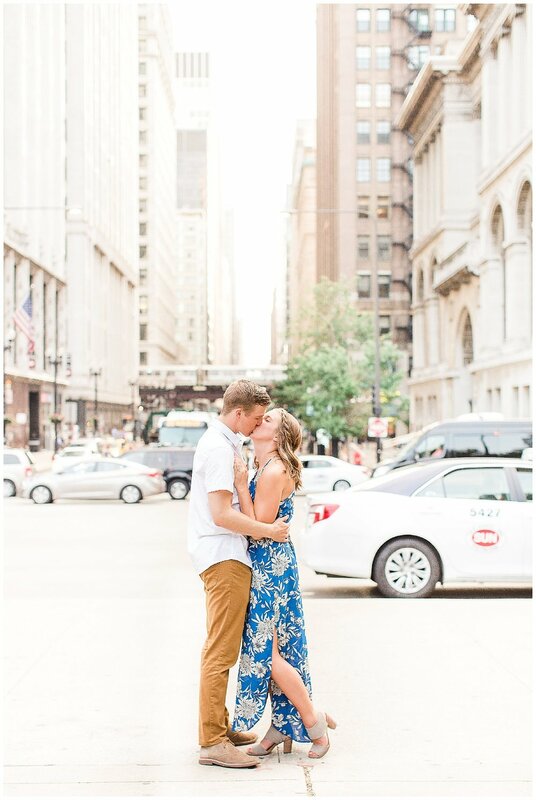 The skyline is gorgeous, Lake Michigan provides an ideal setting for lakeside portraits, and there's always so much going on in the city streets to add a little life to the session. 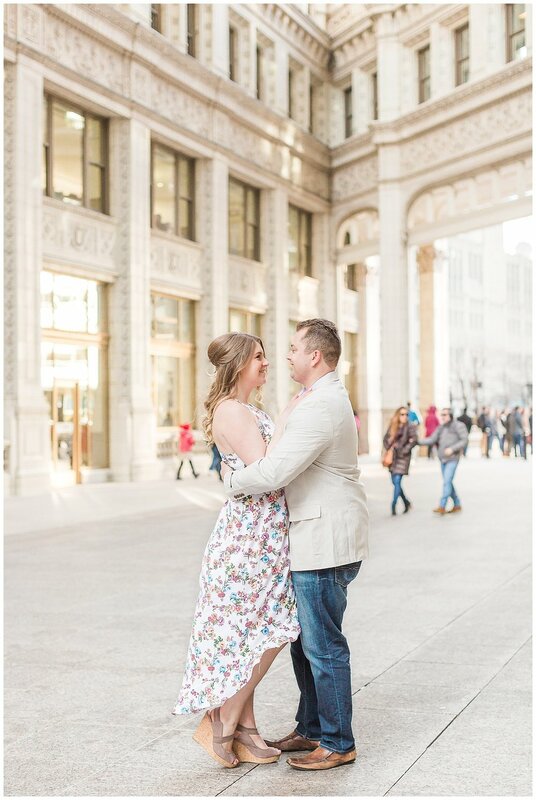 While there are countless beautiful locations all over the city to take your pictures, these are my FAVORITE picks! I find myself working there over & over and swooning every time. 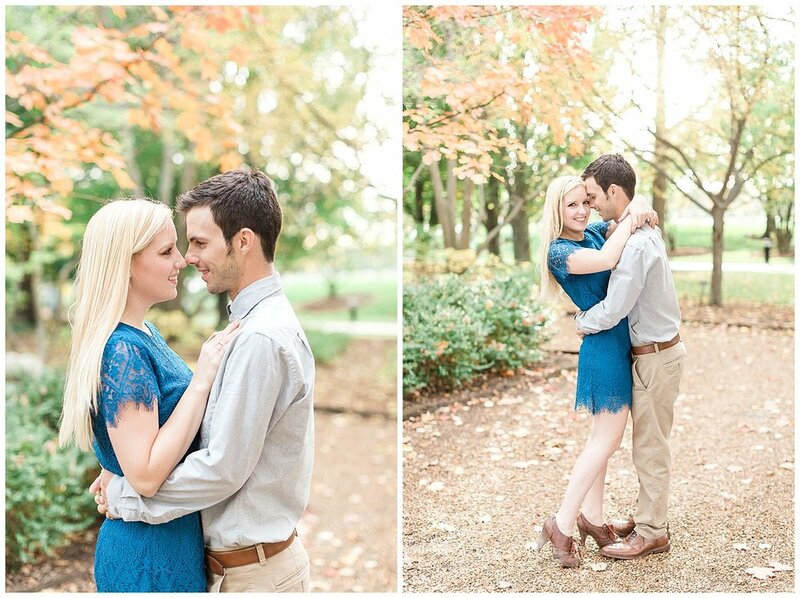 As you're planning your engagement session, keep these pretty places in mind! I love this location because you get pretty, elegant skyline views & have lots of nearby places to walk to for good variety in your pictures. If you're an early riser & love the look of sunrise pictures, North Avenue Beach is a MUST. 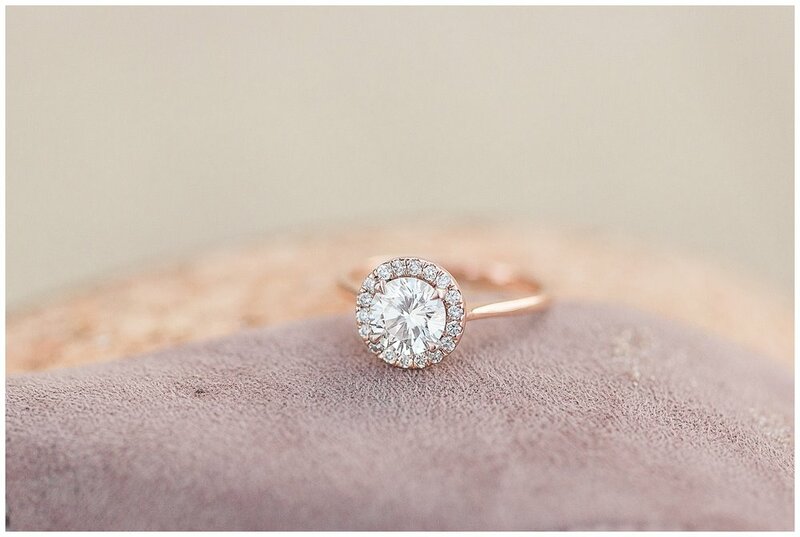 Something about the light around the pier creates a dreamy glow that I can't get enough of! 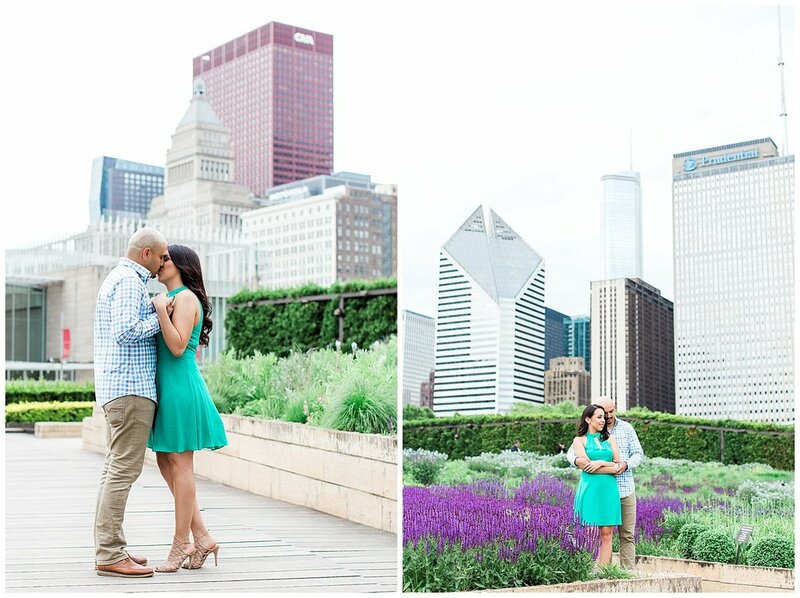 A little bit of nature mixed with the city skyline makes Lurie Garden a unique place for your portraits. 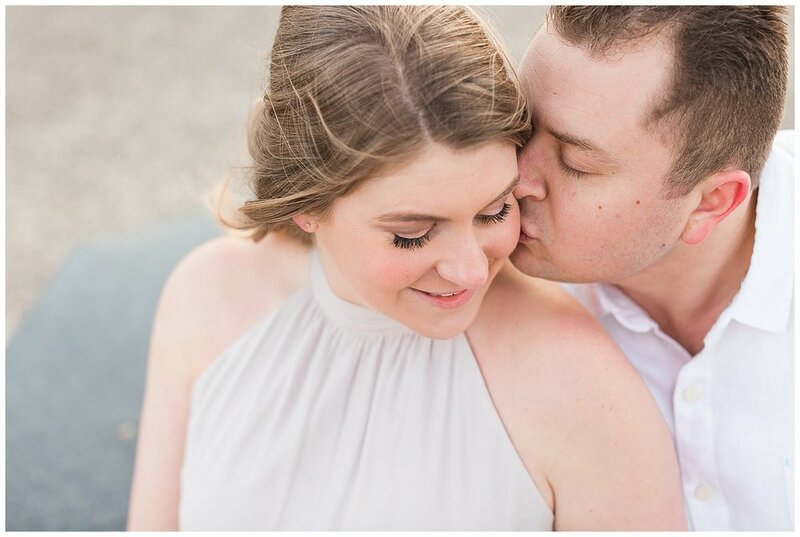 Plus, it's tucked away from the busyness of the city, creating an ideal setting for intimate portraits. If your session is scheduled in late spring or summer, I highly recommend making a stop here. If I had to choose one location for a session, I'd pick Olive Park in a heartbeat. 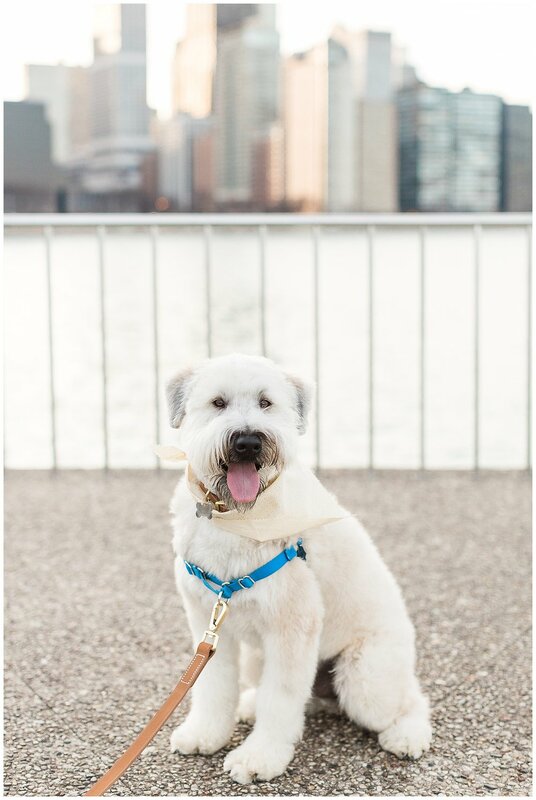 The skyline views with Lake Michigan are PHE-NOM-ENAL. 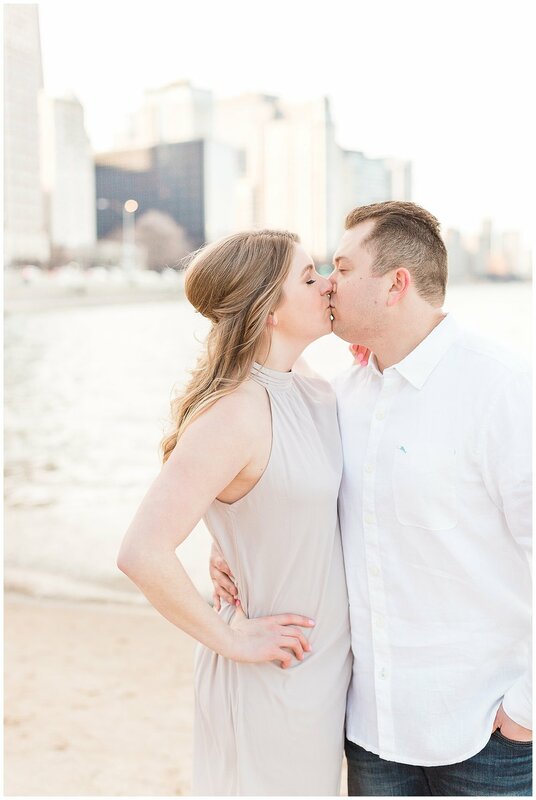 When you catch the sunset light just right, it's the dreamiest location for romantic pictures with your love! Because of it's location & tourist draw, Millennium Park and the surrounding area really capture the hustle & bustle feel of Chicago, especially during the warm summer evenings! This one isn't quite downtown, but it's just a quick Uber trip away & totally worth the extra few minutes. There are so many pretty settings here for nature lovers, and you can't miss taking a few quick portraits at the Honeycomb! 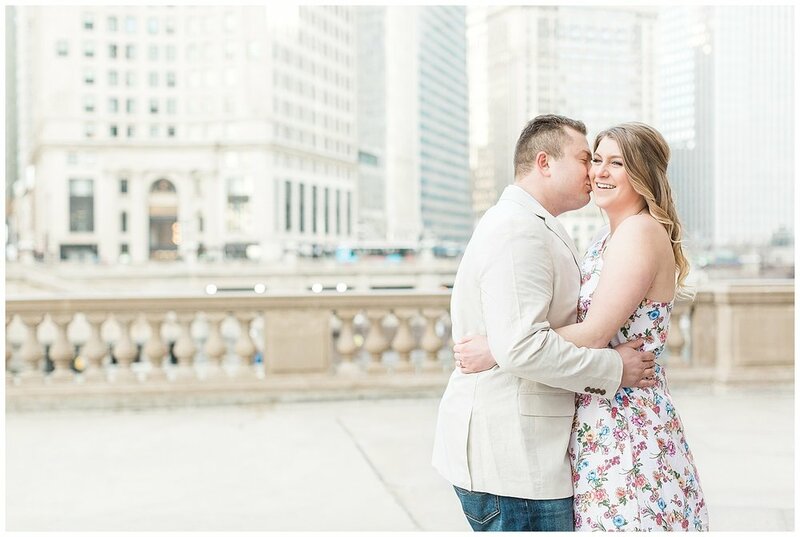 Walking the streets of the Loop, it's easy to find killer backgrounds & favorite Chicago landmarks to capture the heart of the city in your portraits. 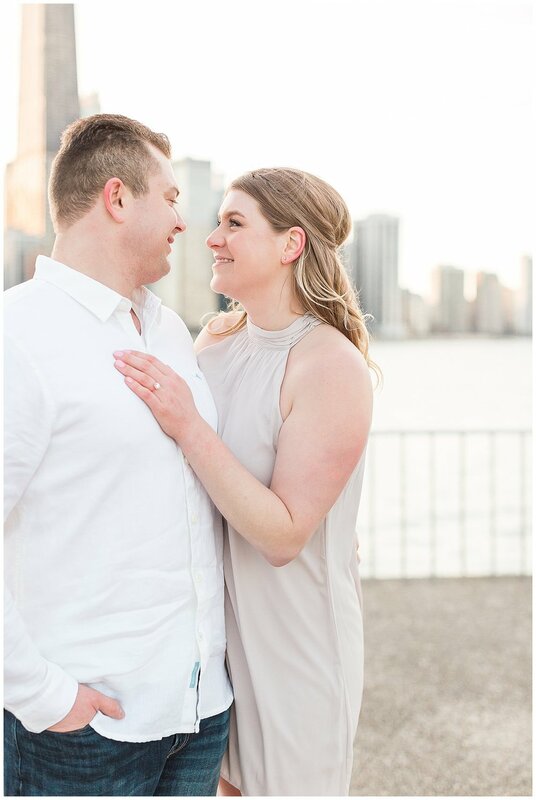 Wherever you choose for your engagement session, it's sure to be special because it's a chance to hit pause and spend time celebrating your love & relationship as you prepare for your big day! Want to see more? Check out full sessions here!